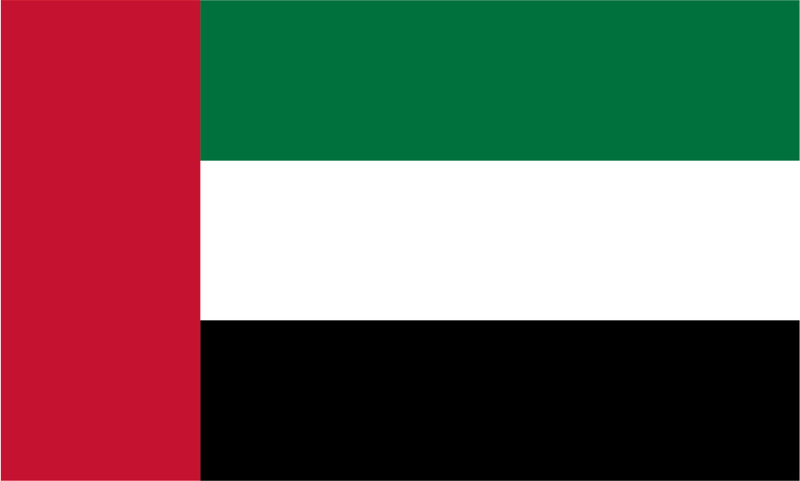 Documents for the United Arab Emirates (UAE) require the apostille certificate and additional legalisation through the UAE embassy. The UAE embassy operates two different services depending on whether your document is a ‘personal’ document or a ‘corporate’ document. Experts in processing personal documents with the UAE embassy in London. We understand how to certify documents correctly to ensure successful legalisation. If your document has a recognised government signature, stamp or seal, or has already been signed by a solicitor then it will not require our solicitor certification service. Most academic documents and other professional qualifications will need to be checked by our solicitor, certified and signed. We are happy to provide advice on your documents. Do not hesitate to contact us to confirm which service you need. Processing time 5-7 days for most orders. Attesting Business or Corporate Documents? Conducting business in the United Arab Emirates often requires getting your company documents attested with the embassy. Using our UAE legalisation service makes the process simple. We include the apostille, embassy attestation and administration fees in our charges. We offer a 'one stop' solution for businesses working in the UAE. Company documents normally need to be certified by a solicitor before we can submit them for attestation. When possible, we arrange for your documents to be checked and certified by one of our solicitors to save you time and money. What does UAE attestation look like? Any UK document being legalised for use in the UAE will need both the apostille and UAE embassy stamps. 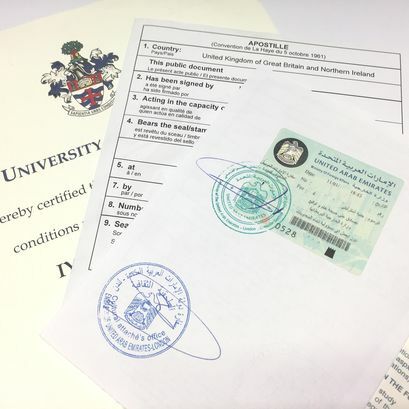 The apostille certificate is normally added to the back of documents. It is glued down one side and embossed. The embassy will then add a sticker and ink stamps to either the document itself or they will attach this to the apostille.